A septic tank is nothing more than an onsite sewage facility that exists in an underground system out of sight. Septic Tank Installations are needed in cities that rely on separate septic systems. 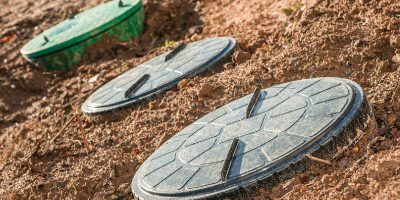 Some septic tanks are made from concrete, fiberglass, or plastic. Septic systems will be the most expensive item in your household like a generator. However, unlike your generator, it will last you decades if you take care of it right. A Septic Tank removes wastewater, effluent, from your home and stores it for you till your next septic pumping appointment. Bacteria do all the work in your tank and break down the waste. This wastewater is what your septic company removes when you have your septic tank pumped. There are plenty of local septic companies, but you should call Charlotte Septic Services! If wastewater flows from your home and into a Conventional Septic System, also known as Traditional Septic System, solid waste will fall to the bottom forming a sludge, and liquids will make a scum layer at the top. Unlike the Aerobic Septic System, anaerobic bacteria break down your waste. From here it will either go through another septic tank for treatment or go to the drain-field. This system doesn’t work without the bacteria. Aerobic Treatment Systems (ATS) still has the same outcome as the Conventional Septic System but works with an aerobic process. 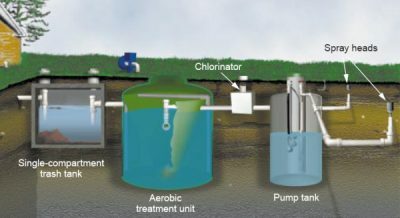 The aerobic process creates a high-quality secondary effluent. This effluent can be used for ground irrigation. This type of septic tank includes a trash tank, treatment plant, and a pump tank. Wastewater leaves your home and enters the trash tank. From there, waste travels to the treatment plant. This is where the aerobic process begins. Aerobic systems are beneficial because the additional oxygen fosters a stable environment for the aerobic bacteria. Another benefit to this tank system is that aerobic microorganisms are faster at breaking down waste than the anaerobic bacteria. Once the wastewater leaves the treatment plant, it continues to the last compartment, the pump tank. This is where the wastewater is treated with chlorine to kill any pathogens that remain. The water from this tank is now safe to use to water surrounding landscape. When considering which system works best for you, it’s important you talk to us about what you need the septic tank for, how many in a household, or homes you will be supporting with this tank. Aerobic septic systems are more complex, more expensive, but also more efficient than traditional septic systems. 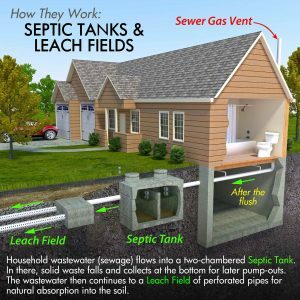 Get with Charlotte Septic Services for the right Septic Tank Service Near Me. We are open day or night for any septic tank service you need from septic installation, septic repair, septic tank pumping, and septic inspection. We have decades of experience, knowledge, and care about what we do for our customers. Give us a call now at (704) 226-4959. How to Protect your Septic System? In order to make sure your septic system lasts a lifetime, let’s talk about ways to keep your system in good shape. Minus a few maintain here and there, you really only need to worry about septic pumping and septic inspections. You should never flush down cigarette butts, tampons, diapers, and coffee grounds. Yes, some homeowners with a septic system have tried diapers. These items don’t breakdown or breakdown too slowly and negatively impact your septic tank. Reduce use of your garbage disposal system. If you can throw your scraps in the trash, it will decrease large volumes of solid waste that your tank would have to process. Reduce household chemicals that go down the drain. Disinfecting cleaners like 409 sprays can kill the bacteria that are in a septic tank. A septic system can handle some use of these products, but we encourage you to use them less in your drains. The bacteria in your septic tank cannot break down any synthetic fibers. If synthetic lint fibers reach your septic tank when you wash clothes, it will just build up. Avoid having large trees or bushes near your septic system. This can damage your drain-field. Do not drive or park on the drain-field. 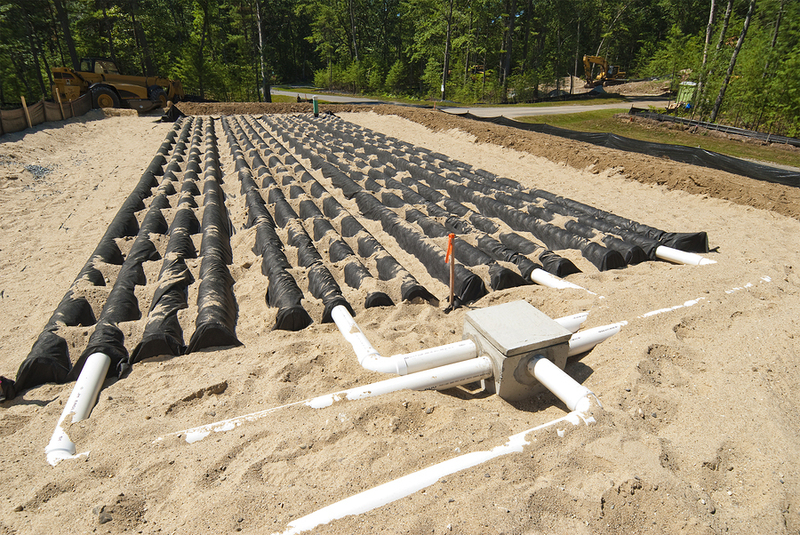 This will prevent effluent from seeping out of the soil or gravel while depriving oxygen of the bacteria.